Bell Pepper Production in California (PDF)- Information from the UC Vegetable Research & Information Center on pepper production areas and seasons, varieties and planting techniques, soil requirements, irrigation, fertilization, weed and pest management, harvesting, postharvest handling, and marketing. 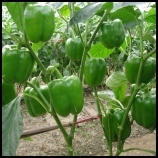 Bell Pepper Production-Sample Costs and Profitability Analysis (PDF) - Discussion of the economics of pepper farming in California. Pepper Integrated Pest Management (PDF) - An in-depth look at various pepper pests, weeds, and pathogens as well as recommendations for integrated management strategies. 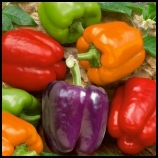 Pepper (PDF) - Highlights pepper marketing and quality requirements as well as physiological characteristics and postharvest considerations.